An individual who names the church in their estate plan is called a Keeper of the Flame. 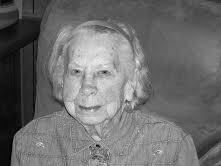 Margaret was a member of our Socorro branch, born in 1918. She was an independent spirit who left New Jersey for New York City as a young woman, where she lived in a “woman’s hotel,” took classes to become a secretary, and managed to be financially independent for her entire adult life. She never married. When she retired, she probably had no idea she’d live as long as she did. But she still had lots of energy and earned a bachelors degree from New Mexico Tech at the age of 76. She lived simply, and didn’t have a lot of monthly income available to give away. But Margaret was a Keeper of the Flame. When she died, she was just a few months shy of her 98th birthday. She had received years of loving support and friendship from her fellow UUs. And with no children or spouse to take care of with her remaining assets, she left them all to First Unitarian. Her $100,000 bequest increased our endowment by about 30%. Because she prepared in advance, her estate did not get bogged down in court proceedings, no money was wasted on the process, and it will have maximum impact toward a mission she cared very much about. The mission of a congregation that promotes diversity, love, and service. In this way, Margaret’s reach extends beyond the bounds of her life.